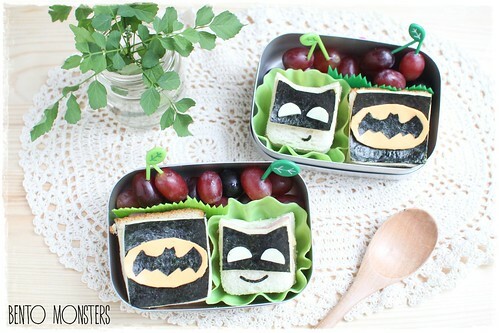 Cutie version of batman, using rice, nori and cheese. 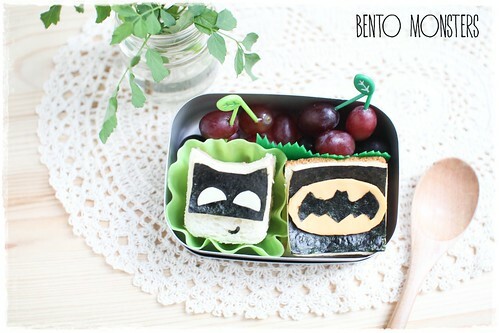 :) Batman logo is made from cheese and nori. Box is packed with meatballs in pasta sauce, broccoli and grapes. 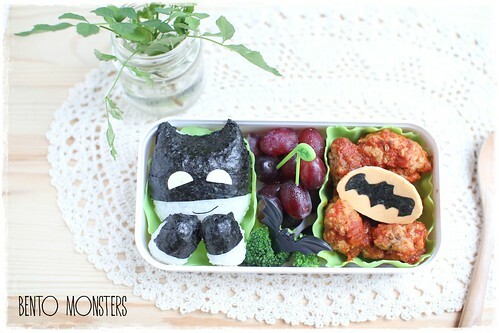 This is the cutest batman I have ever seen and you made him with nori, so talented!! L.O.V.E.! 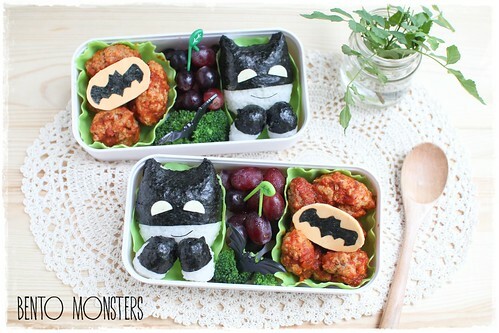 Your batman look so cute! Just discoverd your blog ! 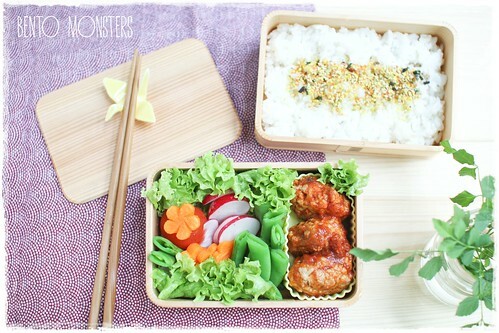 All your Bentos are So beautiful !! 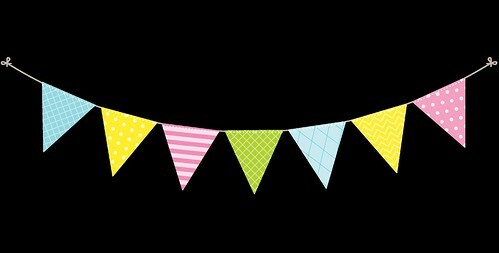 Cute, colorful and fresh !